Dental implants have been become quite popular among dentist and patients searching for the treatment of lost dentition. Dental implants if planned and placed properly and with little constant care can give you the perfect solution for missing teeth. Dr. Ravi Sharma, a maxillofacial surgeon and implantologist practicing in Jaipur gives answers to frequently asked questions related to dental implants. Dental implant in simple terms is an artificial substitute to the root over which crown (prosthesis) can be fixed. It is made up of a biocompatible material (titanium, alloy, ceramic, etc.) and is available in different shapes, sizes and surface textures. 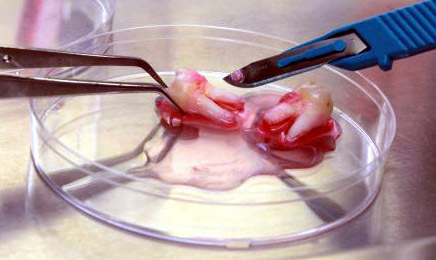 Sometime the surface of an implant is treated with substances (e.g. hydroxyapatite) to enhance positive interaction between implant surface and the bone. The biggest advantage of dental implant is long term fixed replacement of missing teeth without cutting adjacent teeth (done for fixed bridges or FPD). Dental implants can restore oral health, form and function of the dentition, improve esthetics. The drawbacks of implants are slightly higher risk of treatment failure as compared to conventional procedures (FPD) although the success of the implants has been reported to be more than 90% in scientific literature. Common post operative complications may occur such as infection, implant loosening and nerve injury. Cost factor is also a concern as the treatment is expensive. When you should consider for implants? Implants can be placed anytime after tooth loss depending upon other factors; however, the best time for placing a dental implant is first six months after losing the teeth. If an individual is going for extraction by the dentist then the planning should be done from first appointment to achieve atraumatic extraction and preserve the bone to make the recipient site ideal for the dental implant. Is everyone a candidate for dental implant? No, the patient selection is the foremost and an important step in implant planning. Smokers, tobacco chewers, poor oral hygiene, old age groups, patients with systemic conditions such as diabetes are at higher risk for implant failure. Thorough medical history, dental examination and radiographs to assess bone quality and position of anatomic structures is mandatory prior to implant placement. One implant for one tooth! It’s not true. The cases where multiple teeth need to be replaced in a row, then a dentist can plan prosthesis over less number of implants to reduce overall treatment cost. Recently several articles have demonstrated great success of full mouth dentures over just four implants in each jaw (All on four concept). Implant surgery is a simple multistep procedure (sometime can be done single stage) and is done as routine dental procedure. The can achieve pain control with local anesthetic and the implant process is very much equivalent to wisdom tooth removal in terms of pain, time and complications. Routine antibiotics and pain killers (analgesics) are advised after the surgery for less than or a week. This is a common myth associated with dental implants. Good oral hygiene, adequate control of systemic condition, cessation of debilitating habits is essential for long term implant success. The patient should undergo dental checkup and professional care at least in a year to avoid bone loss and implant failure.